You may be a candidate for a total shoulder replacement if you have failed other treatments for osteoarthritis of the shoulder. These include no improvement in your symptoms after trying any of the following: anti-inflammatory medication, physical therapy, and/or cortisone injections. Additionally, if your pain is negatively affecting your daily activities and keeping you awake at night, you may also be a candidate. 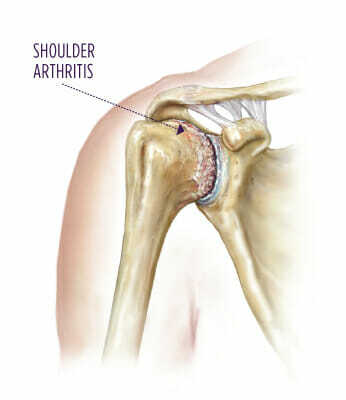 During a shoulder replacement, the old damaged bone and cartilage are removed and replaced. 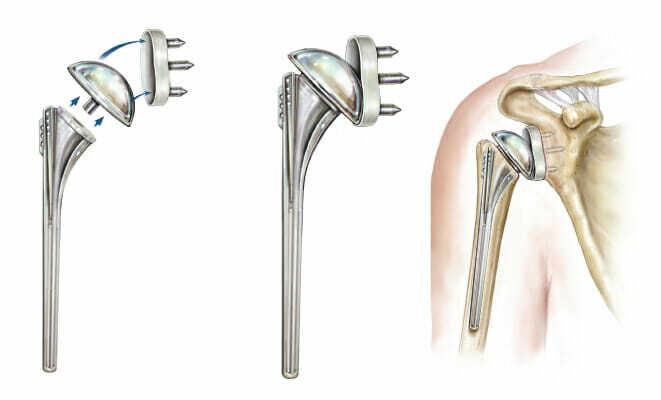 Typically, a metal ball replaces the humeral head (ball), and a plastic concave disc replaces the glenoid (socket). The metal ball is attached to a stem that is placed in the healthy bone of the humerus. All of this work is performed through a four- to five-inch incision on the front of the shoulder. 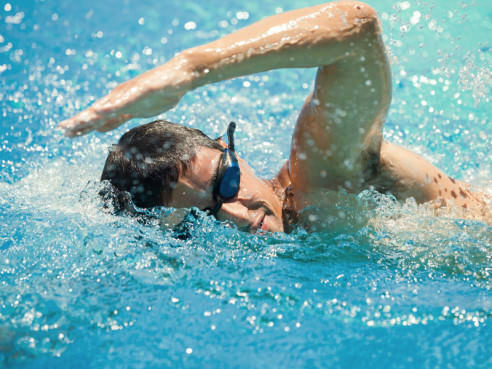 There are several different types of shoulder replacements. Your orthopedic specialist will discuss with you the type that he or she feels will yield the best outcome. Typically, both the humerus and glenoid are replaced. There are also instances where only the humeral head is replaced. This decision is usually made during surgery and is based upon the quality of the cartilage surrounding the glenoid. Initially you will be placed in a recovery room for several hours so that we can monitor you closely as the anesthesia wears off. During this time, your family will be notified that the surgery is complete and that you are in recovery. After the effects of the anesthesia have subsided and you are medically stable, you will be moved to a hospital or Care Suites room, and your family will be able to visit you. Most joint replacement patients are admitted to the hospital or Care Suites for two to three days. This time frame varies depending on your medical history, overall health, and rate of recovery. During your stay, you will use a constant passive motion machine and participate in physical therapy several times a day. One to two weeks after surgery, your specialist will want to see you in clinic. At this appointment, you can expect to have any remaining sutures removed, take X-rays, and receive instructions and guidelines for the next four to six weeks. Your specialist will provide you with physical therapy orders and can write a referral to a physical therapy clinic if you need it. It is important to have realistic expectations about your shoulder replacement surgery. Although they are rare, there are potential complications with any surgery, and you are expected to have reasonable understanding of the risks. Please refer to our preoperative informational handout for further information regarding potential complications and risks associated with surgery. Do not hesitate to discuss concerns with your specialist at any time, including the possibility of your surgery not having the desired outcome. The National Institutes of Health identifies total shoulder replacement preoperative education as one of the main factors in increasing your chances of a positive outcome. Our goal at Summit Orthopedics is to assist you in this regard and help you have the best experience possible as you transition into this new phase of your life. Should you have any questions or concerns, do not hesitate to contact your specialist’s team. They are available to help you and address any questions or concerns that you may have.